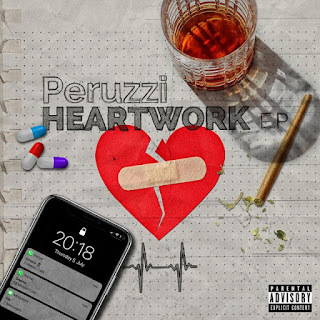 DMW singer/songwritter, Peruzzi has finally released his highly teased project in form of “Heartwork EP.” The project is his first since he got signed to DMW. The EP comes out laced with 11 tracks as expected with guest appearances from his label boss, Davido, rave of the moment, Burna Boy, Popcaan, Mayorkun and others. You can now stream the EP in its entirety below and share. Download Peruzzi Heartwork EP Zip below.